Research Identified the 41 Most Powerful Foods – Guess How Many Are Alkaline? Did you have a guess? As you probably know, I’m passionate about helping people get the abundant energy and vitality of their dreams. I think a life filled with energy is a wonderful thing, and when you have this natural, all-day energy it lifts every other area of your life. These three are intrinsically tied together and each supports the other. The good thing is, when you eat, drink and live alkaline, you support all three. And when you support all three, your increase in health, vitality, energy and mental clarity are exponential. In other words, if you JUST eat to support your immune system (i.e. lots of antioxidants), that will get you great results. If you ALSO add in foods and lifestyle choices to reduce inflammation, you’ll feel EVEN MORE than 2x better. And if you also eat to support your body’s pH balance, then your results will be 5x, 10x or 20x better. And the other good news is this: the overlap is such that by following the alkaline diet and following my few simple daily rules then you will hit all three of these several times a day, every single day, without fail. The results can be phenomenal. So as you can imagine, when I heard there had been a study that revealed the “41 Most Powerhouse Fruits and Vegetables”, and knowing they had measured on things such as vitamin and mineral content, antioxidant content and more, I was very interested to see what these foods are and just how many were alkaline forming foods! 38 of 41 Are Alkaline…and…the top 15? The research, published in the journal: Preventing Chronic Disease used a three-step process to identify the 41 most powerful fruits and vegetables (PFV) to help guide consumers to make more educated food choices. They ranked them based on vitamin, mineral and antioxidant content and a number of other factors. Of the 41 foods identified, 38 were highly alkaline forming foods! In fact, only three: strawberries (ranked 30), blackberries (ranked 38) and oranges (ranked 33) are NOT highly alkaline forming foods, and the two berries are only slightly acidic. And the top fifteen POWERHOUSE Fruits & Vegetables? Well, every single one of these are dark leafy greens. Yep, the most powerful foods on earth all so happen to be alkaline, immune-system-boosting and almost entirely anti-inflammatory too. 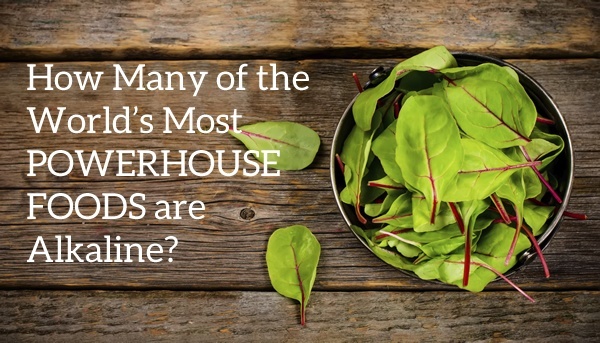 Watercress, Chinese cabbage, chard (silver beet), beet greens, spinach, chicory, leaf lettuce, parsley, romaine lettuce, collard greens, turnip greens, mustard greens, endive, chive, kale and dandelion greens make up the top fifteen. And note how few fruits are on this list? Again, I don’t want to get into a big fruit and fructose debate (you can read my guide to acidic and alkaline fruits here) – but the point is, that while I do love to have fruit as a treat and I do note that they contain nutrients as well as the sugar – the leafy greens are by FAR more nutrient dense. So that’s where I like to focus my energy! Given that list from the CDC, I created this Alkaline Powerhouse Juice in honour of the research! Wash the leaves thoroughly (remove the leaves from the beetroot), especially if not organic. If you have a Chanson Ionizer, you should soak the ingredients in the strongest alkaline water for 15 minutes to remove all pesticides and infuse with more antioxidants. If not, then simply give the leaves a very thorough wash. If not organic, peel the carrot and ginger and the beetroot itself. Next, simply juice all of the ingredients! Add the coconut, or filtered, water at the end. If you have a masticating juicer then you can pour the coconut water through it at the end. This will push through any remaining juice, which is great, and also the water will start the cleaning process too! Getting an abundance of these powerhouse foods into your daily diet could be one of the most important things you do. Often when people are lacking energy and vitality, ONE THING can create a huge shift for them, and it’s often to help soothe and cleanse their digestive system. That’s a whole great big guide in itself, but I want you to know that eating these cleansing greens can make a huge impact. Last year I wrote a guide on making it easy to get 7 serves of greens every day, and I highly recommend you check that out. And remember my post last week – daily juicing – it can be a LOT easier than you think! 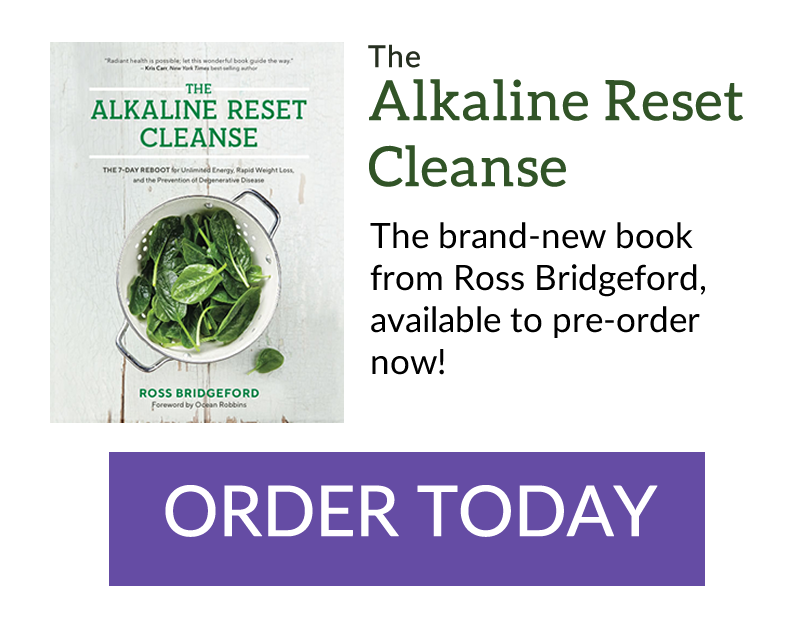 Once again, research has proven the merit of the alkaline approach to eating and living, and I hope this has inspired you to up your greens intake! Ι would like to buy your book but ”hard copy” please. Nope – not in the slightest. Well, they do contain tiny tiny amounts of those compounds that – if you consumed more than is humanely possible MIGHT have a slight impact – but the statement – stay away from juicing… is misleading and untrue. Great recipe … in light of your stance on fruits in juicing, I would like to know what can be added to the juice to sweeten it up a bit. Typically, I add green apples or pear halves (all organic of course), add some sweetness. Appreciate your recipes and your site! Surprised that Blueberries, Ginger or Turmeric are not on this list. After I juice, I mix in 40 ice cubes to make the juice a “icee”. Then I “eat it” with a spoon. This takes time and keeps me full longer. Does the ice take away from the nutritional value? Thank you. are there any alkaline fruits you would recommend Ross?